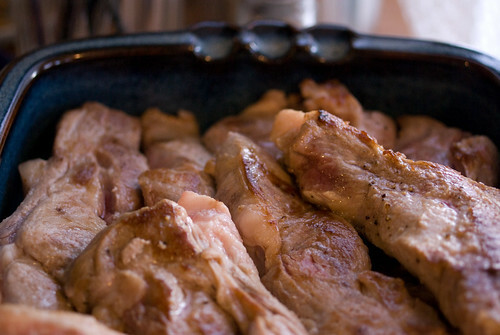 Turn on the broiler and set a rack about four inches below the heat. 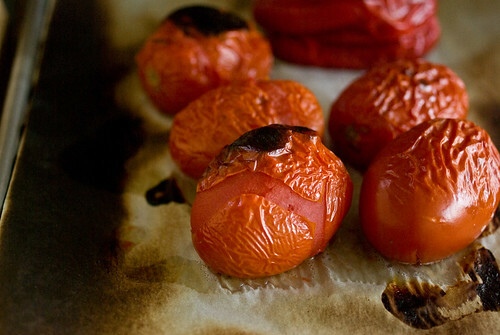 Place the tomatoes, pepper and garlic on a baking sheet and position under the flame. Broil, turning occasionally (and removing any vegetables that seem done) until everything is bubbly and slightly charred on all sides. Remove from the oven and let cool. Core the tomatoes and peel off the skin, peel the garlic, and peel and seed the bell pepper. Drop them in a food processor. 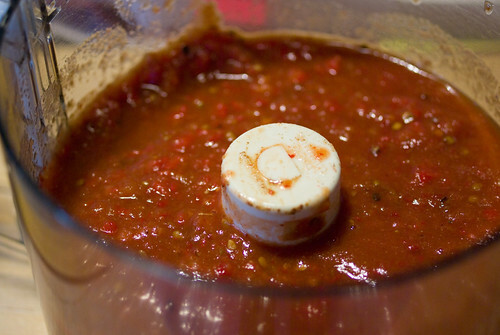 Add the dried spices, vinegar, chipotles (with some of their sauce), and some salt, and process to a coarse puree. 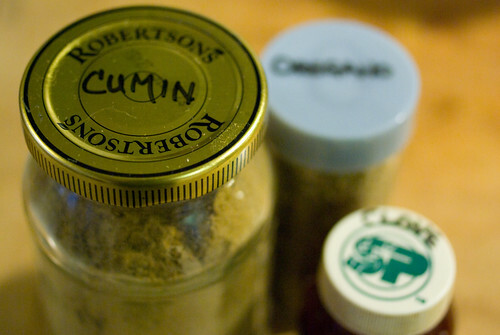 Taste, add salt and/or sugar as needed. 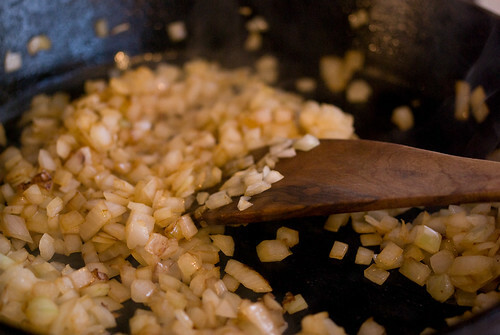 Fry the onion in olive oil until soft, then pour in the puree and simmer for about ten minutes. Use it for anything you like. 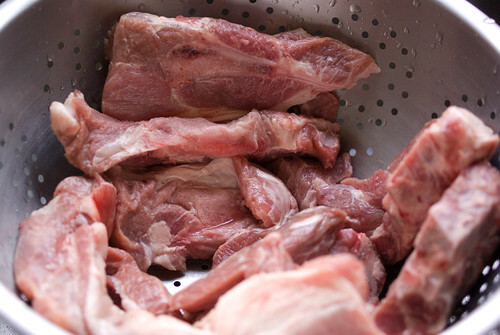 If braising pork in the sauce: take 2 or 3 pounds of country-style ribs, season them with salt and pepper and sear them in batches in a skillet. When browned all over, lay them in a gratin dish and pour the sauce all over. Cover tightly with foil and put in the oven for an hour or so at 300°. Take off the foil and roast another 30 minutes at 350°. 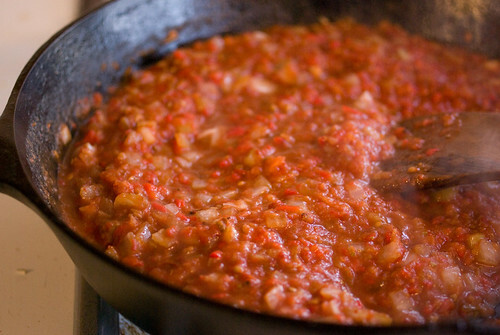 Serve as is, or take the meat out of the sauce to cool and shred it by hand, then combine it with the sauce again.